I’m wrong lots of times. But rarely in such spectacular fashion. Amy Chua is widely known as the “Tiger Mom” -- a title she earned after her strict Chinese parenting methods were described in her New York Times bestseller – Battle Hymn of the Tiger Mother. Chua is also a professor at Yale Law School. This she did when not making her daughter practice piano for two hours, starting at 6 A.M., while on vacation. [Chua had the hotel ballroom opened.] Really. Some of Chua’s extreme parenting practices are gasping. On page one of her book she says that her two daughters were not allowed to attend sleepovers, have a playdate, watch TV or play video games and not be the #1 student in every subject except gym and drama. The Geneva Convention offers more. It is hard to overstate the uproar and criticism that Chua’s Battle Hymn caused after its release in 2011. A book excerpt appearing in The Wall Street Journal – titled “Why Chinese Mothers Are Superior” -- generated more reader comments than any prior article. The book was the subject of a Time magazine cover story and Chua was named one of Time’s “100 Most Influential People in the World.” Chua made appearances on numerous national television shows. So, with all this, while reading Battle Hymn it was not difficult to imagine the stylish 53 year-old Chua in front of her Contracts class as Professor Kingsfield in Manolo Blahniks. But then I reached page 162. And there it was. The line I never expected to see: “I treat my law students (especially the ones with strict Asian parents) the exact opposite of the way I treat my kids.” No way. How could that be? So I set out to find out. Amy Chua was kind enough to let me ask her – provided, she told me, that I was “brutally efficient” with the interview. I looked up the weather in New Haven before dialing her number so I didn’t waste any time on small talk. Chua invited me to interview her at the law school. But I was afraid they might check LSAT scores at the door. Chua was forthcoming, bubbly and spoke to me like we were old friends (skip professor, call me Amy). 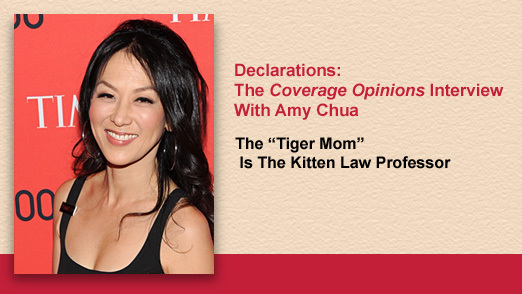 Conclusion: Amy Chua, the Tiger Mom, is the kitten law professor. I wouldn’t be surprised if she brought cupcakes to class on students’ birthdays. This I further confirmed after an e-mail Q&A with former Chua student J.D. Vance, author of the #1 New York Times bestseller Hillbilly Elegy (and currently in its tenth week on the Times list). In his book Vance discusses his close mentor-mentee relationship with Chua and gives her huge credit for the book’s existence. He was gracious enough to share with me his thoughts on his former professor. In all fairness, it must be noted that, in response to the criticism to Battle Hymn, Chua insists that it was not a “how-to” manual but a self-mocking memoir. 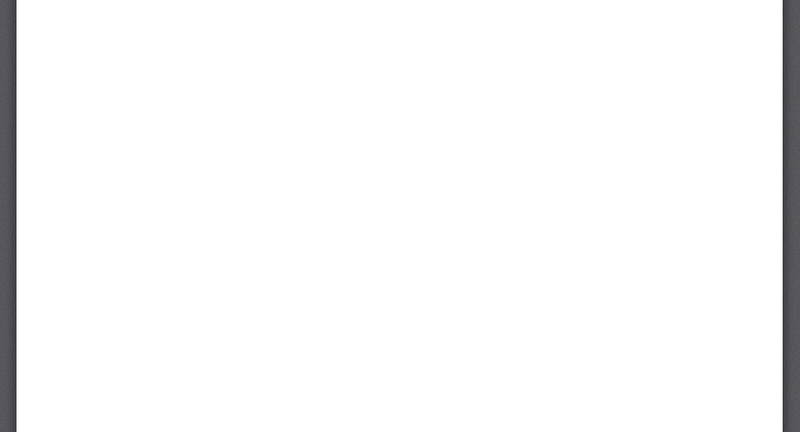 The title of The Wall Street Journal excerpt, which had much to do with the book’s controversy, was not chosen by Chua. In a subsequent article in The Journal, Chua said that Battle Hymn is “the story of our family’s journey in two cultures [her husband, Jeb Rubenfeld, is Jewish], and my own eventual transformation as a mother. Much of the book is about my decision to retreat from the strict ‘Chinese’ approach, after my younger daughter rebelled at thirteen.” It has been pointed out that The Journal excerpt focused on the beginning of the book, where the extreme parenting is described. As for Chua’s daughters today, Sophia is in her second year at Yale Law School and Lulu is a junior at Harvard. Chua, herself the product of Chinese parenting (but born and raised in the U.S.), is a 1987 graduate of Harvard Law School (and Harvard undergrad). From the Bay State she headed to Washington to serve as a clerk for D.C. Circuit Chief Judge Patricia Wald. Then a four year stint at Cleary Gottlieb in New York working on international transactions. Chua joined the Duke Law faculty in 1994 and Yale’s in 2001. I followed up with Chua about this. Her answer was fascinating, explaining to me that Confucian tradition places a premium on deference to authority and she was taught to respect her elders. Therefore, it wasn’t natural for her to read an opinion by a judge and immediately think of reasons why he or she was wrong. In addition to Battle Hymn, Chua has authored books on the economic and foreign affairs fronts. Her 2003 book, World on Fire: How Exporting Free Market Democracy Breeds Ethnic Hatred and Global Instability, was a New York Times bestseller. In 2007 she penned Day of Empire: How Hyperpowers Rise to Global Dominance—and Why They Fall. And not long ago she co-authored, with her husband, The Triple Package: How Three Unlikely Traits Explain the Rise and Fall of Cultural Groups in America. With marching orders to be brutally efficient I wasted no time on the call. Right out of the box – Is Amy Chua the Tiger Law Professor? In a way, but not really, is how I’d characterize her answer. She’s a “tiger professor,” she tells me, in the sense that she holds her students to high standards. However, she is also widely-known at the law school for her friendly and nurturing nature, her office door is always open, she has students over to her house, takes them out for beer and frequently reminds them to go have fun and not be too hard on themselves. Have fun and don’t be too hard on yourself. Huh, did Amy Chua really just say that? This from the mother who didn’t even allow her child’s dental surgery to get in the way of practicing her instrument. [Tylenol-3 with codeine, Chua says in her book.] When Chua’s older daughter came in second place in a fifth grade multiplication speed test, Chua sure didn’t tell her to go have fun and not be too hard on herself. Instead, Chua, stopwatch in hand, made her daughter do twenty practice tests, of 100 multiplication problems each, every night. After that she came in first place every time. So how can such a Jekyll and Hyde dichotomy exist? I pose this curiosity to Chua and her answer makes sense. Battle Hymn, she tells me, is about very early child-raising, explaining that she was particularly tough on her kids between the ages of five and thirteen. After that, you need to give your children more independence and let them make their own mistakes. With that said, by the time she gets her students at Yale, Chua explains, they’ve already had wonderful parents, the foundation has been laid, their values formed and self-motivation established. At this point, her students have already gotten all the gold stars. Now she wants them to stop being on the treadmill all the time and start thinking about the rest of their lives. J.D. Vance’s NYT bestseller, Hillbilly Elegy, is his story of growing up poor in Kentucky’s Appalachia region and Middletown, Ohio, surrounded by addiction, and then making his way to the Marines (serving in Iraq) and Yale Law School (which he describes as his spaceship crashing in Oz). Vance’s story is both personal and an examination generally of the decline of the white working class in America. Vance was a student of Chua’s at Yale and in his book he discusses her immeasurable help “navigat[ing] unfamiliar terrain.” In the acknowledgments he describes her as having “the wisdom of a respected academic and the confident delivery of a Tiger Mother,” and says that “there were many times that I needed (and benefitted) from both.” Chua put me in touch with Vance to get a student’s perspective on her. In his book, Vance recounts that Chua advised him against pursuing a clerkship with a certain federal judge because “[h]e was demanding to the extreme” and “[h]is clerks didn’t take a single day off for an entire year.” Between this, having a new girlfriend and a clerkship not serving Vance’s career goals, Chua talked him out of it. Vance calls it the best advice he has ever received. This anecdote in Hillbilly Elegy made for an easy question for Vance. I asked him to comment on the seeming oddity that the woman who did all of the things to earn the “Tiger Mom” label discouraged him from pursuing a clerkship because, for one reason, the judge was so demanding. In hindsight I should have seen this answer coming. After all, Chua told me that, at some point, it’s no longer about gold stars, but, rather, living your life. And in Vance’s case, Chua made him see that having the “credential” of a prestigious federal clerkship wouldn’t prove useful given his ambitions. As I said, I’m wrong lots of times. Add my assumption about Amy Chua as a law professor to that list. Nobody tells me I’m wrong more frequently than my ten-year old daughter. But now it’s payback time. Since reading Battle Hymn of the Tiger Mother her life has been a little more difficult.